ISR is proud to present in collaboration with Function Loops an essential vocal pack for EDM producers looking for license free vocals and sounds to use in any production or remix. Voice is a exclusive bundle that features two female voices Sasha & Karin. This hi octane pack is geared up for Dubstep, Dance, Techno Electro, Tech House, Progressive and Trance. The pack also comes with loads of Midi files that contain melodies, bass lines, and grooves so you can nail down a track in no time flat. Voice features over 11 kits complied from Function Loop's hit packs Sasha & Karin. So if you own either of these packs you might want to pass this wicked bundle up. If you don't have them. Then get ready for a double blast of sonic goodness. These kits were hand picked by Twisted Reaction and Lenny Dee to insure a solid bundle of samples for your production needs. 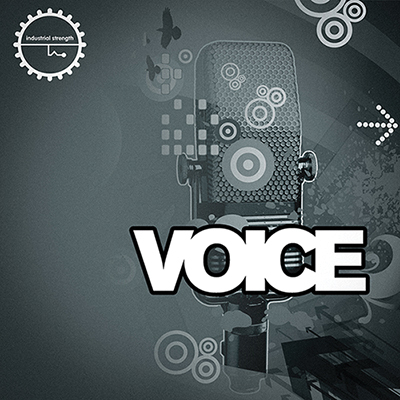 Voice can only be purchased on Loopmasters.com. So if your in the market for a monster vocal pack with two different female singers with all the bells and whistles then look no further we gotcha covered. We left loads of head room and kept the vocals so you can tune them a bit further to meet your studio needs. This pack was recorded and mixed in 24 Bit wav format. Voice also contains Midi files that contain melodies , bass lines and grooves you here in the demo tracks so you can rock a production in no time flat just by using the elements in this license free sample pack. Voice comes with a ton of bonus material. We included all the vocal stems mixed and dry. Each kit comes correct with vocal snip its, one shots and music audio so you can complete a song with no shortage of extra bits to make it sound fluid. The pack also features tons of extra and effects to really round off this great collection of Function Loops kits. Put your mic away and just drop in one of these dope vocal kits in your next session and let Voice do the work!